This means a healthy, nutrition-rich diet must include several types of whole foods including vegetables, fruits, whole grains, lean proteins and healthy fats. Not doing this is setting the stage for lifestyle diseases such as obesity, prediabetes and diabetes. Normal is boring, right? Don’t stick to just a few foods. Go in for different types of healthy foods. Choose colorful vegetables and fruits that are rich in nutrients and fiber. The more colorful, the better. These will provide you with phytonutrients required by your body to strengthen its immune system and fight infections, keeping you safe from disease. I know that is hard, but bite the bullet and start practicing right now, a little at a time. Not saying you should throw everything processed from your pantry – but strike out any processed foods from your shopping list. Visualize a much healthier you when you pass the aisle that displays it. I did. It worked. Read the labels to know which whole foods have not been processed. Look for the percentage of sugar, sodium and preservatives, which are the main culprits that dilute the nutrition and sneak in without announcing themselves. Check for the quality of the carbohydrates, protein, and fats in your food. With animal proteins, it is a good idea to know how your food was produced, since what you get largely depends on what the animal ate. Luckily, I don’t have to worry about this since I am vegetarian. But since not every one is (or has to be), be aware of what you eat. Oh, those nice chilled fizzies! Time to get rid of those from your diet, if you are keen on staying healthy. Why? Because they are empty calories that only fill your stomach. They prevent you from eating healthy and keep you from getting the nutrition you need. Most packaged foods and beverages are full of calories minus the nutrition. Examples are white bread and white rice that have been processed and stripped of their nutritional value and fiber. If you are wondering whether a nutritional supplement can compensate, forget it. It cannot take the place of a healthy nutritious diet. Although calories count, don’t be too rigid with counting them. Remember that when you choose healthy foods, you can stop counting the calories. Can you imagine researching and studying each food item you buy and weighing it to decide whether it is good to go? I can’t. 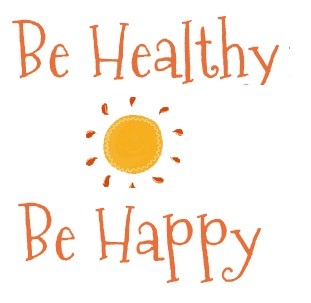 Instead, simply make healthy choices and enjoy the satisfaction of eating healthy. Stick to decent portion sizes. This will automatically keep you healthy in the long run. Check out the food pyramid to get an idea of what foods to eat and how much. Got tips to share? Would love to hear them!